In 1962 Carmen Bertazon, a mason, Angelo Munafo, a lawyer and Marion Sperandio, a builder, joined forces to create CAM Construction. 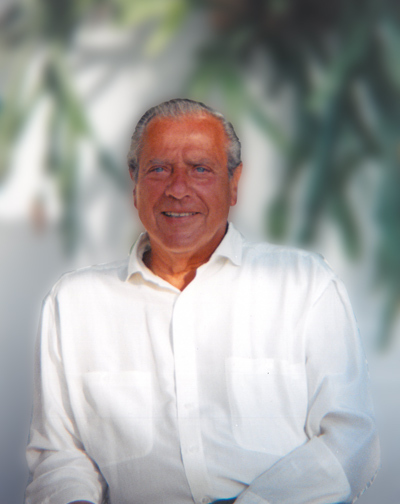 Angelo Munafo (the “A” in CAM) became the president of the firm and continued to lead the firm for almost 40 years until his passing. M. Marc Munafo succeeded his dad as president and has been leading CAM for the past decade and a half. The first ten years concentrated mainly on construction management projects including low-rise apartment complexes throughout Maryland as well as additions/renovations to schools through the State of Maryland. CAM moved operations in the early 1970’s from a small office on 25th Street in Baltimore to Hunt Valley, Maryland. During that period CAM was expanding and specializing in Education, Manufacturing, Courthouse and Prison Facility construction for the State of Maryland, in addition to some highly complex private work including BGE’s Operations Control Center, Loyola College DeChiaro Center , Martin’s West Banquet Facility, and several projects at H & S Bakery. Toward the end of the 1980’s CAM’s project range had escalated to $10-15 million/per project, and our administrative staff was increasing to keep pace with our workload. At this time CAM undertook the restoration and addition to the former Polytechnic Institute for the Administration of Baltimore City Public Schools. CAM fully funded this project and also offered an innovative sale lease-back scenario. Also during this period CAM constructed the Baltimore County Detention center which had computer controlled detention hardware, membrane roofing, and solar heating which created a shaded and secure recreation area. This detention center was considered the most modern facility of it’s kind in the entire United States, and was featured on the national evening news. Without a doubt, the 1980’s were a period of great diversification and growth for CAM. After seventeen years, CAM outgrew the Hunt Valley location and in 1990, built its own 3-story office building in Timonium. During the 1990s’s CAM continued to flourish completing several university projects for the University of Maryland, Anne Arundel Community College, Howard Community College and Morgan State University while continuing to construct and renovate several Elementary and High Schools around Maryland. These school projects were complimented by construction management projects including the Renovation of the Maryland Golf & Country Club as well as the conversion of the Pool Addition to the MAC Wellness Center. CAM also was busy in the Public Safety and Service sector with the Renovations and additions of the Clifton Perkins Hospital, the 400 Bed Dormitory addition at the MD State Penitentiary as well as the Design Build of the Police & Automotive Shop at the Bay Bridge. These past 15 years have continued to focus on education with a large increase in senior living, non-profit and office projects. CAM maintains it strong commitment to the university market which included several projects at Baltimore Community College, Morgan State University, and Harford Community College. During this time, CAM also has become an expert in the senior living market through its various projects and long standing association with the Little Sisters of the Poor and St. Elizabeth Rehabilitation & Nursing Center. This period also marked a major foray into the Worship/Non Profit sector with the construction and renovation of several places of worship including the construction of the $40 million New Psalmist Baptist Church. CAM also constructed several projects for the Archdiocese of Baltimore and Catholic Charities including Our Daily Bread Employment Center. Finally, CAM excelled during this time creating and renovating offices for many Maryland Businesses including several projects at Chesapeake Employers Insurance Company (Formerly known as IWIF). Most of the projects from recent years can be viewed in the Portfolio tab of our website or by clicking here. We continue to look forward to serve Maryland businesses and institutions with their construction needs well into the future. Contact us today with your construction project.